"...educated people tend to overestimate their own understanding. Simple ignorant people know their own limitations; educated people forget theirs. They mistake literacy for expertise. Knowing a smattering of many things, they confuse a dim awareness with sophistication. Flatter their intelligence a little, and they’ll swallow anything — especially if they think it’s the latest thing. The twentieth century was notable for many horrors, not least of which were the fads of the intellectuals — Marxism, Freudian psychology, existentialism, sexual freedom, “abstract” art, and so forth. Common sense and tradition fell into disrepute. The old idea of self-evident truths gave way to the glamour of the “counterintuitive.” Anyone who could take a philosophy course could become a deep thinker, refusing to be taken in by the obvious. The obvious became vulgar" (Joseph Sobran; The Decline of the Obvious). You know you're around sheeple, when you hearing bleating noises, and the nearest ranch is four hours away. Sheeple bleat about media and gossip stuff, which is what they graze on everyday - celebrities; office rumors; name brands; sports; food they've "seen" on the tube. The words of men are almost always credible to them, especially if the person or organization is well known or has some form of certification. Sheeple worship and idolize themselves and other sheeple to the point of acting, dressing and talking like their idols. They will root for a team and talk about public figures as if they actually knew them personally. A sheeple will act like the subject matter expert, in front of his other cubicle grazers, after spending a whopping 10 minutes reading some articles over the Internet. He hears of a person, event, occurrence, etc, and being driven by animal-like curiousity will perform a quick search on google. Of course, he only clicks the links of the first few websites that come up, since sheeple have zero patience. Should the articles or comments discredit the person, fact or story, and it seems that enough of these so called sources are stating the same thing, then he proceeds to believe it... baah. Likely, he will continue to believe it for the rest of his bleating life. Sheeple believe what they read without giving a second thought to the motive behind the statements and writings. The question is are you brave enough to think for yourself, and stand up for your beliefs, despite what others say or do? Do you even dare to think outside of what is acceptable and what you're comfortable with... because, just maybe, you've allowed others (ex. teachers, friends, media) do the thinking for you? You think you're wasting your time pondering this, right? Well, there's a bunch of things you can cut out before you give up thinking for yourself. You feel that your co-workers and social friends are very honest with you. You're quite certain that most of the things you hear throughout your day, penetrating your floppy, tagged ears, via radio, television, news, rumors and small talk, are true. Why would people lie.. why would the news lie... and so on and so forth. Truth seekers and conspiracy theorists are stupid, baah, you think (you think?). Bunch of paranoid people. You believe the news, gossip, theories, histories and books written or stated by man, over GOD'S WORD. Why? Because you are too lazy to perform due diligence; you believe in majority rule. Somehow, you are the "go to" person on a subject because you spent 10, okay 15, minutes reading those first few articles that you pulled up online. A jack of all trades and master of none. That's sheeple, or sheople, of the world. An America with storefront legal access to pot is not going to make sheeple less sheeple. You shouldn't be happy if you're sheeple because that happiness is fake - you're still headed for the slaughter house. If you are not truly happy, and have no peace of mind or joy in your heart and mind, a drink, smoke or pill will not cure your problems. More money to throw at a problem, more booze to ease the stress, another girl or boy toy, is not going to make your personal problems go away. A new car or that hot girl is not going to somehow transform you into a better, stronger soul. You should be very scared if that bong hit, or two, somehow makes you feel happy, when you know you will wake up tomorrow just as unhappy. 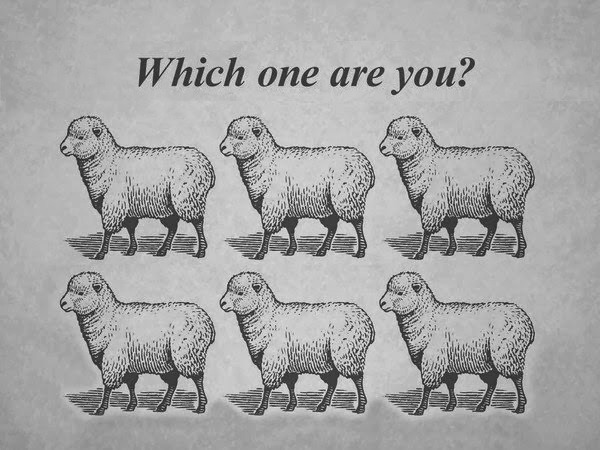 You're sheeple if you think so and so person is a more respectable individual now that he's more handsome, has more $$$, or drives a nicer car. Guess what... one day he won't look so good anymore, his money will spread thin and he'll be too old to drive. Don't be so superficial, vain or arrogant. The tables do turn. Treat others the way you want to be treated. Let me tell you a thing, sheeple, the stories in the Bible are, in fact, the most accurate recorded history in written form. (I can hear the baahs getting really intense now). The other perfectly accurate report and witness to Truth and Fact is written in the stars. Both were written by GOD. That might be a hard pill for you to swallow... because who wants to admit that they are indeed a fool for believing the world, which is upside down and backwards, full of deception, illusions and lies. Come out of deception and into the TRUTH... it's time to repent and come into "the True LIGHT, which lighteth every man that cometh into the world". It is so simple and pure... you just have to believe and absorb. It takes time to unlearn what you've learned wrong, relearn some of the good things that you left behind, and really learn the TRUTH. Try it, you might like it or even learn to embrace TRUTH... there is nothing else like it. You know those easy going folks that just seem to get along with everyone, but stand for nothing... don't be one of them. Don't tell me you understand CHRISTIANITY because you heard some atheist talk about it in school or you've gone to a fancy church building, once a week, to listen to some man take three verses from the Bible, package it and spoon feed you with a bunch of fillers, containing the doctrines and traditions of men. How about we make a friendly wager? I bet you $10,000 that Adam and Eve did not commit sin by taking a bite out of an apple. I also bet you that nowhere is the word "apple" ever mentioned in the entire book of Genesis. If I lose, I will pay you the ten grand, but if you lose... you spend a little more time in GOD's WORD, ask Him for guidance and to open your eyes to the real TRUTH. Isaiah 53:6 "All we like sheep have gone astray; we have turned every one to his own way; and the LORD hath laid on him the iniquity of us all." Psalm 19:1-4 "The heavens declare the glory of GOD; and the firmament sheweth his handywork. Day unto day uttereth speech, and night unto night sheweth knowledge. There is no speech nor language, where their voice is not heard. Their line is gone out through all the earth, and their words to the end of the world. In them hath He set a tabernacle for the sun,"
Psalm 147:4-5 "He telleth the number of the stars; He calleth them all by their names. Great is our LORD, and of great power: His understanding is infinite." Psalm 14:1-2 "The fool hath said in his heart, "There is no God." They are corrupt, they have done abominable works, Thee is none that doeth good. The LORD looked down from heaven upon the children of men, To see if there were any that did understand, And seek GOD." Proverbs 14:15 "The simple believeth every word: but the prudent [man] looketh well to his going." Proverbs 18:2 "A fool hath no delight in understanding, but that his heart may discover itself." John 1:4-5 "In him was Life; and the Life was the Light of men. And the Light shineth in darkness; and the darkness comprehended it not."